Pro-Flo Sales, LLC distributes a wide range of oil and natural gas related products. 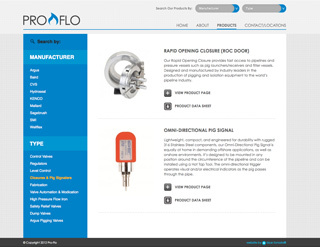 Our products range from controls and instrumentation to specialty valves and fabricated systems. We serve many market segments within the industry including well service & frac, flow back, completions, production, midstream, and pipeline transmission. 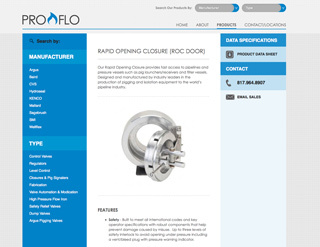 Please browse by “Type” or by “Manufacturer” for more detailed information, and you can always contact a Pro-Flo customer service representative for pricing and delivery information.